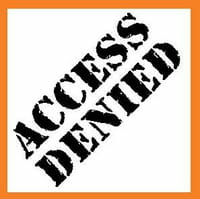 This article provides the user with knowledge on how to password protect computers and folders. It explains how this can be done on various versions of Windows. The article explains how important it is to protect files with passwords and also the ways in which you can protect your password. You can create a file consisting of your passwords and then make a back-up of this file. The process of password protection is described on the following versions of Windows: Windows 3.x, Windows 95, Windows 98, and Windows XP along with its Home Edition. You may also protect your password with a compress tool such as WinRAR. In order to restrict access to important or confidential files and folders, you can password protect them. However, you should always save a file containing the passwords in use, for example in an Excel sheet, so that you do not forget them. Also, always make a back-up of those files and folders in a single password protected password external drive, so they are not lost in the case of system corruption or infection. Windows provides you with the necessary tools for this process. 1. After creating the Word document, click "Save as" in the "File" options. 2. Go to the "Tools" option and select "Security Options". 3. In the field labeled "Password to open", enter the password of your choice. 4. Then, if you also want to set a password to modify the file, enter another password in the field labeled "Password to modify" . 5. If the file DOES NOT require any changes, and you want it to open in a read-only format, tick the box labeled "Read-only recommended" . 6. When done, click "OK" . Windows 3.x, Windows 95 and Windows 98 are not set for password protection of your files and folders. If you are running under those operating systems, you will need to download a program that can handle this task for you. This section will tell you how to set a password for the folders on your Windows XP, using different user accounts. 1. 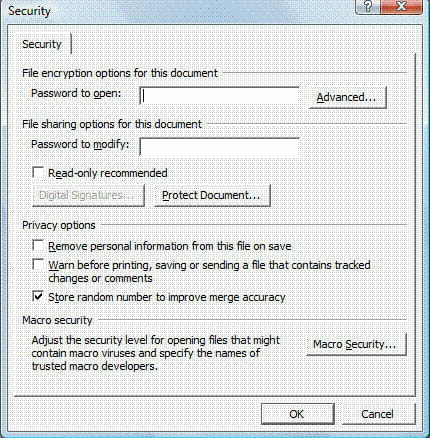 Right-click on the folder that you wish to password protect and choose the option "Properties"
2. Select the "Advanced" option and check the box labeled "Encrypt contents to secure data"
3. You will be prompted to choose whether you want to apply the changes to the folder only, or to the subfolders. I suggest you choose the option "Apply changes to this folder only" for now. 4. Save the changes by clicking "Apply" and "OK"
2. Select the tab labeled "Sharing" and tick the box labeled "Make this folder private"
3. Save the changes by clicking "Apply" and "OK"
1. Open WinRAR and choose the folder or file that you want to compress by clicking the "Add" option. 2. Select the "Advanced" tab and choose "Set Password" option. 3. Once you have finished entering your password, you can choose to encrypt the file name by ticking this option. 4. When you have finished, click "OK" and apply the changes by clicking "OK" again in the Archive parameters window. Published by netty5. Latest update on October 26, 2012 at 09:17 AM by Jean-François Pillou. This document, titled "How to Password Protect your Files and Folders," is available under the Creative Commons license. Any copy, reuse, or modification of the content should be sufficiently credited to CCM (https://ccm.net/).